Play these Flash or HTML5 based online slot machine games provided by Blueprint Gaming at Top Free Slots. No download required to play the games - just click on the image and wait for the game to be loaded in your browser window. You can play all these Blueprint Gaming Slots for free or try your luck for real money at sponsored online casinos. You can play classic slots or 5 reel video slots with multiple lines of payout, exciting bonus features, and wild and scatter symbols to increase your winning potential. 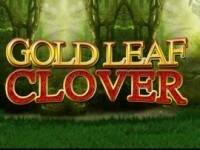 rr The backdrop to Gold Leaf Clover slot is a scenic countryside that evokes a mystical look and history. Set on an Irish medieval background, the game is laid back with few interruptions that will make your experience fun. 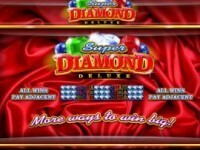 The..
Super Diamond Deluxe is a 10 payline online slot machine from Blueprint Gaming. rr Brought to you by Blueprint Gaming, if you like toÂ play free slots, this one may seem familiar to you. And that's because Super Diamond.. This is a 20 payline slot machine developed by Blueprint Gaming. 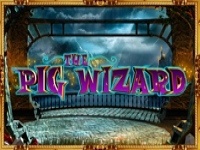 Slots's main theme: Pigs, Wizards. 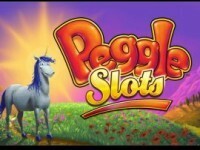 Peggle is a new 50 payline slot machine game created by Blueprint Gaming. rr The slot from GameSys is based on the popular Peggle slot machine from PopCap. This is one of the world’s most successful.. This is a 20 payline online slot machine from Blueprint Gaming. Game's theme: Irish, Gold. Egyptian Goddess is a 20 payline slot machine developed by Blueprint Gaming. rr Step back into the ancient Egyptian culture and discover the many riches and treasures in store. The Egyptian Goddess slot machine by.. This is a new 50 payline slot machine game created by Blueprint Gaming. rr The Worms slot machine is a sequel to the video game that had a great success back in the 90's. These main characters with uniforms..
Toy Factory is a new 20 payline online slot machine from Blueprint Gaming. rr The Toy Factory slot machine game consists of 5 reels and 20 paylines. Blueprint Gaming is the developer behind this title. 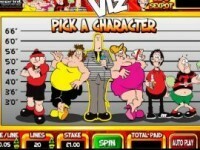 The game..
rr If you adore the Viz comic, you will like to play Viz free slot machine. It is a progressive game with a high hitting RTP of 95.53%. 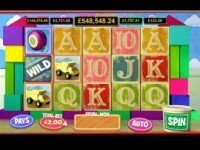 To fully enjoy it, you will have to be a fan of slot machines with simple graphics.. This is a 25 payline online slot machine from Blueprint Gaming. rr The love of jewels and gems come to life when you launch the Bejeweled Cascades slot machine by Blueprint Gaming. The gems are in all.. Happy Days Rock the Jackpot is a new 36 payline slot machine developed by Blueprint Gaming. rr The Blueprint Gaming has recreated the famous show from the 80s with all of the memorable characters, music and the voices in the.. This is a new 20 payline slot machine game created by Blueprint Gaming. rr Blueprint Gaming presents the Harry Trotter the Pig Wizard slot machine. Its theme is similar to the story of Harry Potter, fulfilled..
Kingdom Of Wealth is a new 30 payline online slot machine from Blueprint Gaming. rr When you playÂ Kingdom Of Wealth slotmachine,Â you will be introduced to an entire kingdom where you can access wealth by rising through..
rr As a leading UK based game studio, Blueprint Gaming has been aiming to create some of the most imaginative, entertaining slots. With its Top Cat slot game, they've managed to do exactly what their goal is. Top Cat..
Count Duckula is a new 40 payline slot machine game created by Blueprint Gaming. Get ready to hit the slots with the most quacktacular game around, in the 5-reel Count Duckula slot by Blueprint Gaming! This funny game.. This is a 20 payline online slot machine from Blueprint Gaming. 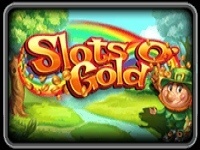 Luck O The Irish Fortune Spins is a 20 payline slot machine developed by Blueprint Gaming. Slots's main theme: Irish. rr whg Ted is a 5 reel, 20 payline slot with multiple features such as Laser Gun Wilds feature, Psychedelic Super Spin feature, Beer Streak feature, TV Remote Symbol Streak feature, Wheel of Fartune Bonus feature and.. The Naked Gun is a new 20 payline online slot machine from Blueprint Gaming. As an evil conspirator tries to turn innocent people into assassins through mind control, you join Leslie Neilsen foil their plan! Spin the.. This is a new 40 payline slot machine developed by Blueprint Gaming. rr Remember the friendly ghost Casper? No? Well he was white, short, helpful and full of coins! Blueprint Gaming online slots use this.. Deep Sea Treasure is a new 20 payline slot machine game created by Blueprint Gaming. rr An adventure in the ocean, exotic sea creatures and jewels waiting to be discovered - all of these await you! Developed by Blueprint.. This is a new 20 payline online slot machine from Blueprint Gaming. rr The Vikings Of Fortune slot machine game made by Blueprint Gaming company is a modern 3-D online video pokie with 5 reels and 20..
Austin Powers is a new 25 payline slot machine developed by Blueprint Gaming. rr If you are into the film world, then the Austin Powers is a familiar character a spy-themed comedy. Â The free Austin Powers slot.. This is a new 25 payline slot machine game created by Blueprint Gaming. rr It is a Greek battle themed creation of Blueprint Gaming. 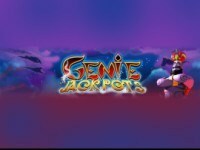 Playable from only 25p a spin, it is a medium to high variance gamble with a..
rr The Jungle Jackpots slot machine created by the Blueprint Gaming, based on the cartoon from 1967, will take you to the crazy adventure throughout the jungle. So, if you are a fan of this real book story, don’t.. This is a new 20 payline slot machine developed by Blueprint Gaming. rr This is a classic gamble that contains extremely simple rules and features that allow you to earn more prizes. Also, it offers a..
rr Nobody likes seeing ants in their homes, but here, they are your best friends. With their help, one will get great prizes while playing this pokie with vivid animations and details! The Wild Antics slot machine is.. This is a new 20 payline online slot machine from Blueprint Gaming. rr This Wish Upon A Jackpot slotÂ is based on a cartoon movie called Shrek, however, he's not the main character. The main actors are..
Imperial Dragon is a new 20 payline slot machine developed by Blueprint Gaming. rr The Imperial Dragon free slot is a Blueprint Gaming's 5-reel 20-fixed payline machine. The Imperial Dragon slot machine has an oriental.. This is a new 10 payline slot machine game created by Blueprint Gaming. rr Punters aren't just looking for wealth; they're looking for beauty as well when theyÂ play Jewel Strike free slot. This simple, yet..
Red Hot Fruits is a new 10 payline online slot machine from Blueprint Gaming. rr Powered by Blueprint, it can be played without download and as long as you have Flash on your machine. The entire gameplay has the word.. This is a 1 payline slot machine developed by Blueprint Gaming. rr The free Winstar slot game is present online thanks to its developer, the Blueprint Gaming company. It is created in a futuristic style..